The last I used my bottle of cinnamon was baking my favourite fruitcake during the year-end festive season. What did I do with the leftover cinnamon? Well, I didn’t waste it. Of course, not. I sprinkled a bit of it into my must-have morning cup of coffee. It was amazing, loved the aroma and taste. Now, it has become my favourite drink of the morning. Here comes my next question, what are the health benefits of cinnamon? I am pretty sure you would want to know. Read on to find out its benefits. Once known, you are not going to waste the leftover. You may want to quickly reach out to your bottle of cinnamon to check the expiry date. Let’s begin by looking into some information about this amazing spice. Cinnamon is an aromatic spice obtained from the inner bark of the Cinnamomum tree. It is available in either whole quill form (cinnamon sticks) or as ground powder. Used in both sweet and savoury foods, ground cinnamon with its warm sweet aromatic flavour is widely used in baking, while cinnamon sticks add a slightly spicy flavour to meat, fish, vegetable or rice dishes. Cinnamon’s unique flavour comes from the essential oils of the plant, which comprise about one percent of the spice’s composition. It is not known how long people starting using cinnamon, but there are some written records of its use. It was mentioned in the Old Testament as an ingredient in anointing oil. Egyptians used it during the embalming process. Many accounts say that Emperor Nero burned a large amount of the precious cinnamon at the funeral pyre for his wife in 65 AD to atone for his role in her death. During the Middle Ages, the Arabs transported cinnamon through cumbrous land paths, resulting in a limited and expensive supply. This made the use of cinnamon a status symbol in Europe. However, many people needed the spice for a very practical reason. Cinnamon is used as a preservative for meats during the winter. Some people believed it has medicinal value too and used the spice to treat conditions such as indigestion. Cinnamon and other spices like clove and nutmeg played a key role in Europe’s expansion into Asia. By the 17th century, it had become the most profitable, in spice trading. Somewhere around 1518, Portuguese traders discovered cinnamon at Ceylon, now called Sri Lanka. They seized its island kingdom of Kotto, enslaved its population and gained control of the cinnamon trade. In 1638, the Dutch overthrow the Portuguese occupiers and monopolised the cinnamon trade for the next 150 years. In 1784, the British took over after their victory in the fourth Anglo-Dutch war. However, by 1800, cinnamon was no longer an expensive, rare commodity as it had started to be cultivated in other parts of the world. Typically, there are two types of cinnamon. The more expensive Ceylon cinnamon, also known as true cinnamon, is grown in Sri Lanka. Its colour is lighter and has a mild, sweet taste. Cassia cinnamon, sometimes called Chinese or Saigon cinnamon, comes from trees grown in China, Vietnam or Indonesia. This is more pungent and spicy with a deeper colour. Ceylon and Cassia cinnamon come from two different, but related trees. The Scientific name for Ceylon cinnamon is Cinnamomum Verum and for Cassia is Cinnamomum Cassia. Cinnamon farmers shave the outer bark off the trees which is soft. Then, shave the inner bark which is the cinnamon layer. The cinnamon is then dried for use. During the drying process, it naturally curls into “quills”. These quills are then cut into sticks or grind into powder. Cinnamon has antidiabetic effect as it helps lower blood sugar levels. Also, it can improve sensitivity to the hormone insulin which keeps blood sugar levels balanced. Cinnamon has been shown to reduce the amount of glucose that enters the bloodstream after a meal. This is by interfering with digestive enzymes which slows the breakdown of carbohydrates in the digestive tract. Since cinnamon has a naturally sweet taste that is devoid of sugar, adding it to foods and drinks can help reduce sugar intake. Thus, making it an extremely healthy addition to many meals. Remember though, people who already have diabetes, cinnamon is NOT an alternative to medication. This is just one of the ways for people with pre-diabetes who are interested in using diet to manage their blood sugar. Cinnamon has several compounds with anti-inflammatory properties that can lower the probability of cellular damage and chronic disease. Flavonoid compound alone in cinnamon is very effective at fighting dangerous inflammation levels throughout the body. Since cinnamon can reduce swelling and inflammation, it is beneficial in pain management, where it helps to relieve muscle soreness, severe allergic reactions and other pain symptoms that are age-related. Cinnamaldehyde, the main component of cinnamon helps fight numerous kinds of infection by inhibiting the growth of various microbes including bacteria, molds, fungi, dermatophytes etc. Besides the immune-boosting abilities found in cinnamon’s essential oil, it also has protective abilities against various bacteria which can cause negative symptoms in the digestive tract, on the skin’s surface and can lead to colds or flu. 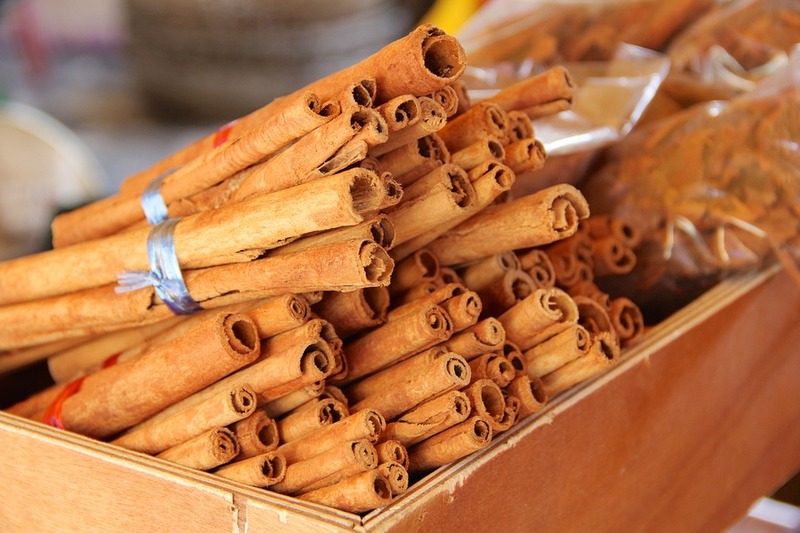 Cinnamon’s antimicrobial effects may also help prevent tooth decay and diminish bad breath. Cinnamon is packed with antioxidants like polyphenols, phenolic and flavonoids. These compounds work to fight oxidative stress in the body, which can lead to disease formation if not controlled. Oxidative stress is the cause of today’s modern health problems such as heart diseases, cancer, neurodegeneration and etc. Oxidative stress is the body’s natural process that produces free radicals that protect us from viruses and bacterial infection. However, the excess amount of free radicals caused by increased oxidative stress can damage cells and its DNA changing their functionality. These result in an uncontrolled growth of abnormal cells. The high amount of antioxidant is required to reduce the activity of free radicals. It neutralises free radicals protecting from cellular damage. 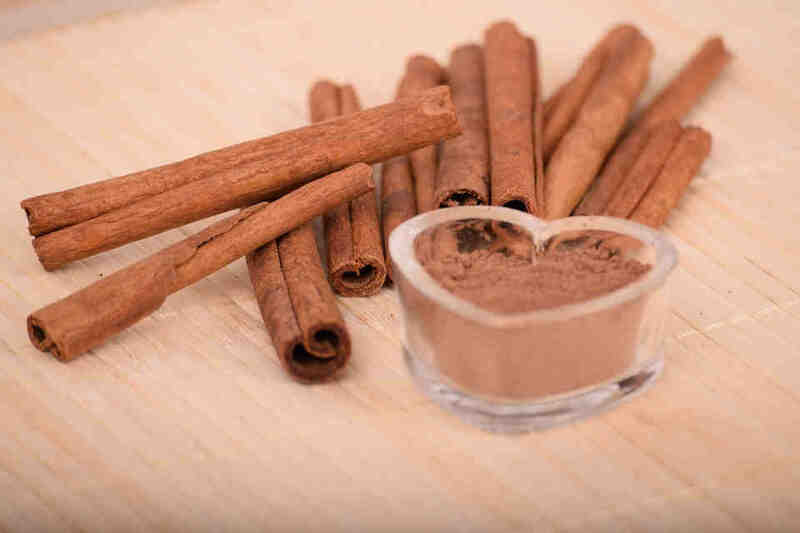 A compound in cinnamon has been shown to help lower the levels of LDL “bad” cholesterol and triglycerides, while HDL “good” cholesterol remains stable. High cholesterol causes heart problems such as stroke and heart attack. Cinnamon can be used as part of a natural approach to reducing high cholesterol levels. Cinnamon also improves blood circulation and advances bodily tissue’s ability to repair itself when damaged. This includes tissue which is in need of regeneration in order to fight heart attacks and stroke. Cinnamon can be used as a skin and lip plumper, face mask, breath freshener and dry skin scrub. As an air freshener, all-purpose cleaner, ant and moth repellent and as a decorative element. Cinnamon can be purchased in the form of stick or powder. Cinnamon sticks retain their essential oils better and thus often have a more pungent flavour. When buying cinnamon sticks, in order to determine whether they are Ceylon, which is more expensive than Cassia, look at the end of the stick. 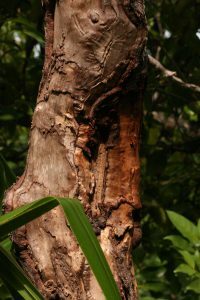 Ceylon cinnamon has a thinner, more brittle bark than Cassia. When it is rolled, it has multiple layers as it is thinner. Whereas, Cassia cinnamon stick which is thicker, only a single layer can be seen. Unfortunately, there is no way of distinguishing cinnamon powders between Ceylon and Cassia. The only way is to rely on the product information label or call the manufacturer. Cinnamon should be stored in an air-tight container and in a cool, dry place. Cinnamon sticks can be kept for approximately one year, while cinnamon powder for about six months. Cassia cinnamon contains a high amount of a compound called coumarin. It is a naturally occurring plant compound that is toxic to the liver and kidney. Thus, it is recommended to limit the consumption of cinnamon to 2 – 4g (1 teaspoon of cinnamon powder is about 4g) per day and not for more than a few weeks in a stretch. Ceylon cinnamon’s low levels of coumarin make it a better choice to use as a medical supplement. Cassia cinnamon is still beneficial, as long as it is consumed as recommended above. Many of us have taken cinnamon in one form or another. I loved it with my coffee and sometimes with oatmeal too. Not forgetting my favourite fruitcake. Yes, cinnamon buns too. 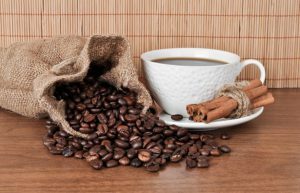 The best cinnamon coffee can be made at home with your normal coffee. Simply sprinkle a pinch of ground cinnamon into it and enjoy your cuppa! How about you? I look forward to knowing your experience with cinnamon. 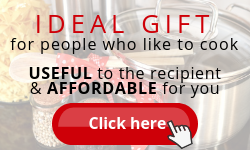 Perhaps you want to share a recipe. Now that you know what are the health benefits of cinnamon, would you consider using it more if you haven’t already? Drop me a line or two at the comments section below. If you are taking cinnamon as a medical supplement, always check with your health-care provider. Especially if you are diabetic or has liver or kidney problems. Cinnamon sticks or powder, regular coffee or cinnamon, you can easily and conveniently purchase on Amazon. If you intend to use cinnamon as a health supplement, you can take a closer look at Amazon too. But remember to always check with your health-care provider. I love cinnamon! I never thought much about until recently when I was diagnosed with type 2 diabetes. Cinnamon is an anti inflammatory and helps with insulin to lower blood sugar. I take 1000mg of cinnamon every morning. 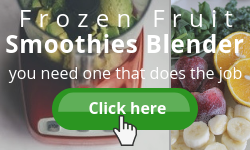 It has numerous health benefits which I mention on my website as well. It’s good for your skin, your hair, and reduces the risk of heart disease. Love your information here about cinnamon. My favorite! Likewise, I have never thought much about it too, till now. Since I read a lot about its benefits, am sharing it here with all who love cinnamon. Hope more people are aware of the benefits of cinnamon. I only got started into your post when I ran to the pot for another cup, this time with cinnamon. It was good! And I do like the aroma of it to go along with my coffee. Quite interesting to learn both the history and facts about cinnamon. To tell you the truth, I’ve never even tried the sticks before? I’m always into better health maintenance, and this was a great post. Thanks for visiting. Am glad you like the cinnamon coffee! Should try cinnamon tea too. Especially after a meal. It helps relax the digestive system. Break a cinnamon stick into pieces. Steep in a cup of boiled water for 10 minutes. Add a tea bag and and honey if desired. 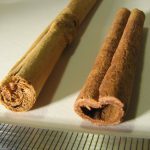 I didn’t know that cinnamon grew on trees (literally) – that’s interesting! I also find it really amazing how something found in nature can be so “naturally good” for you! I wonder how all of these benefits were initially discovered! 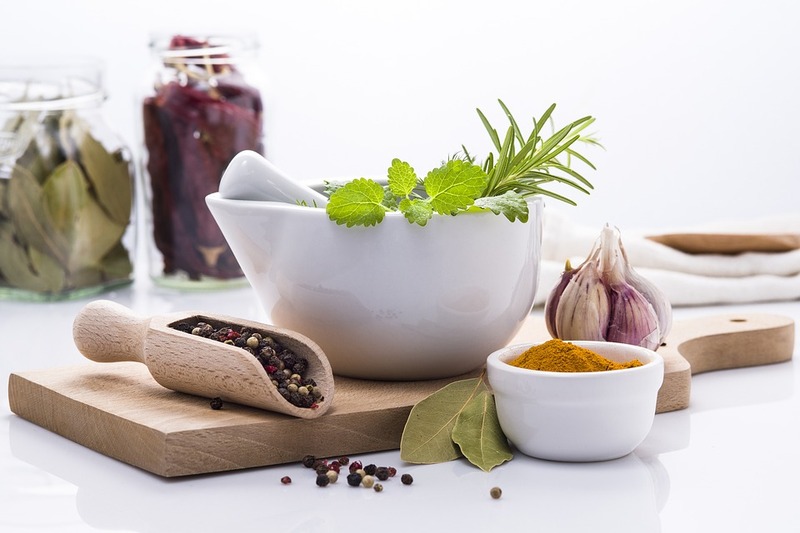 Many herbs and spices are naturally good for our health. I am discovering more in my herbs and spices quest. Will share in more. Do visit my site regularly. I always knew that cinnamon is beneficial to our health because of its effect in lowering blood sugar levels in people with diabetes. My dad has diabetes and I will tell him to add cinnamon instead of sugar in his coffee because he loves his coffee. I love cinnamon buns and cinnamon flavoured oats for breakfast. It’s good to know the beauty and household benefits of cinnamon other than its health benefits. The history and origin of cinnamon is very interesting. Thank you, Sharon, for sharing an informative post! Thank you for visiting my site. Am glad you found it informative. 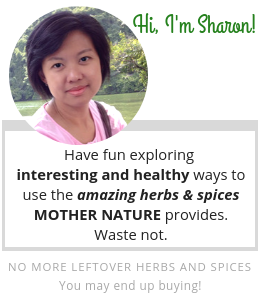 I will continue to learn more and share more of these common culinary herbs and spices we have. Thanks for visiting and am always happy to share. In fact cinnamon can help boost energy too. You may also try turmeric. It helps break down fat and regulate our metabolism. Thus, increase our energy. An easy and simple way to use turmeric is to sprinkle or rub some turmeric powder onto fish or chicken fillet, let it sit for an hour or half. Then, pan-fry. This is my usual, quickest way to prepare dinner. Wow, I love the story of the history of cinnamon! I didn’t know there were two different types of cinnamon either – or that it had so many health benefits! I have it in my porridge and use it in cakes etc. I might start putting it in my coffee now as well…. Thanks for the visit. You must try the cinnamon coffee. It is wonderful! This came at a great time because I was recently diagnosed as “pre-diabetic” I never thought of using cinnamon to assist in the prevention. I also didn’t know it could protect the hear as well and help regulate cholesterol. It goes to show that all we need is right here on planet earth. I love cinnamon especially in my smoothies, but I never realized that there are different types. Or that too much can be toxic. 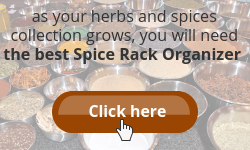 Your website is very informative indeed, what other spices could I use in my smoothies? Thanks for dropping by. Cinnamon in your smoothie, yummy! 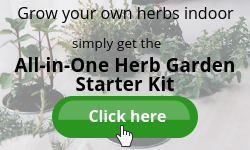 You may wanna try turmeric powder, ground coriander seeds and ground cloves. These spices are good for digestion and contains anti-inflammatory properties. Coriander seeds is milder than cilantro with a sweet and nutty flavour. I know that there are many cilantro smoothies out there, give coriander seeds a try. Tell me how you feel about it by replying in this section. I have loved cinnamon since I was a small child. I like the taste, and because it is used a lot around Christmas in Denmark, I am fairly sure that my mind still associates it with all the good things at Christmas. This year I tried brewing cinnamon tea myself for the first time, and I can truly recommend it. It has a uniquely complex and soothing taste. I also like cinnamon on my oatmeal, and around Christmas in Denmark, we use it on our traditional rice pudding which tastes awesome! Thanks for sharing your experience with cinnamon. I love cinnamon coffee and when Christmas is round the corner, I bake my gingerbread with a reasonable amount of cinnamon. The soothing aroma filled my home. I love cinnamon coffee too! To me, it somehow tastes “like Christmas”. A little sprinkle in the coffee grinds prior to brewing… perfect! I also like it sprinkled on applesauce and even just chopped up apples or pears. So delicious! I love that it’s healthy for me – I’ve always been told that it’s good for digestion. My mom used to add cinnamon to our applesauce when we were sick “because it’ll settle your stomach”. It did help. I didn’t know that it’s an anti-inflammatory as well though – that’s great! I think I need more cinnamon… physically I’m a bit of a mess right now LOL. Thanks for dropping by Marlaine, and sharing your experience on cinnamon with us. Cinnamon applesause – yummy! 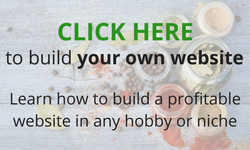 Hello Sharon, I saw your blog post in the Traffic Exchange for Bloggers group. 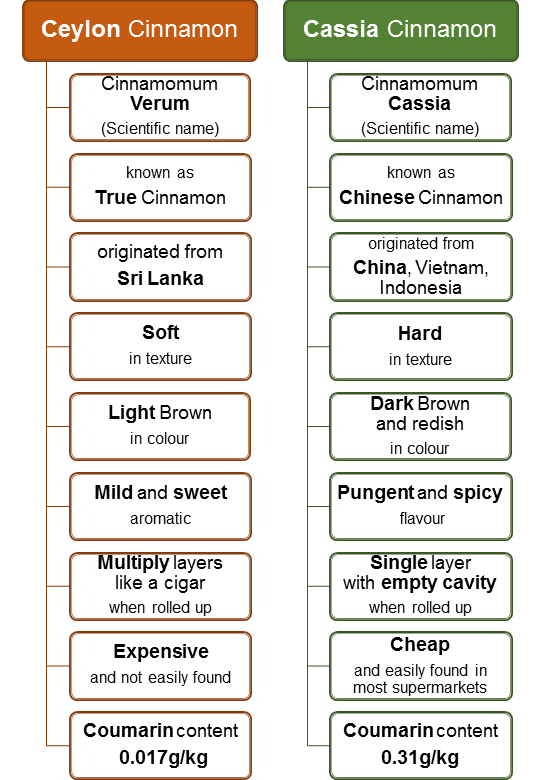 I had read there were different types of cinnamon but did not know what they were or how they differed. This was an interesting article that certainly gave me more knowledge. I think my preference would be for the Ceylon cinnamon. I am glad this article caught your attention and you find it interesting and useful. Always happy to share. Have you tried the cinnamon coffee? Cinnamon is one of my favorite spices. I love putting extra cinnamon in my applesauce. I get the applesauce that has cinnamon, but then I add a little more. I never knew it has so many great benefits. Oh, yes! Cinnamon and apple are a perfect match. I am glad you know a bit more about the benefits of cinnamon through this article. Thanks for dropping by, Lisa and do come back periodically for more articles on herbs and spices. Hello Sharon. I do like cinnamon but had no idea it had so many health benefits that went with it. Sounds like something I need to be incorporating more of into my daily life. Adding it to coffee sounds like it would be right up my alley. Thank you so much for providing me with all of these wonderful health benefit ideas. By the way my favorite apple crisp with cinnamon in the gooey apple mix. Thanks for dropping by. I am glad you found this article useful. Yes, apple with cinnamon can never go wrong. You must try the cinnamon coffee. Tell me how it goes for you. I think, Sharon, so far I must have only tasted the Chinese cinnamon, as I have always found it rather pungent. Thanks for letting me discover the sweeter Ceylon cinnamon, which I am now planning to use possibly as a replacement of my aspartame tablets in my hot drinks. The difference in levels of coumarin also explains why I thought it may not be all that good for our health if taken in regular doses. I looked into the use of cinnamon particularly when added to dogs’ diet. I take the same beneficial effects can be recorded when cinnamon is fed to dogs, depending on the two different types used. Thank you ever so much though, Sharon, as your article as far as I am concerned has been a real eye opener. Thank you very much indeed, Giulia. You make me realized I have a lot more to explore. Adding spices to dogs’ diet or any pets for that matter. This will be my next research. Btw, I love adding cinnamon to my hot drinks especially coffee. No sugar needed. Sharon, this article is rich, and happy that I learn a lot from it, and do not know that cinnamon is that good for the body. I will start to incorporate this into my diet. Thank you very much, and please keep up the good work.